All packed up for Camp Muir/Summit Day! One of my favorite parts, and one of the hardest, about life-changing trips is coming home and attempting to process everything that happened. For me, that's still in the works. Until that process is complete, you're stuck reading about my gear! Between test packing at home with a scale close by, packing to board a plane to Seattle, repacking at Tiffany's house, unpacking at Mesdag Basecamp, repacking for climbing school, repacking for our trek to Camp Muir, unpacking at Camp Muir, and repacking for our summit bid, I could get everything in its place in my backpack in my sleep. (When Melissa woke us at midnight for summit day, that's basically what we did!) 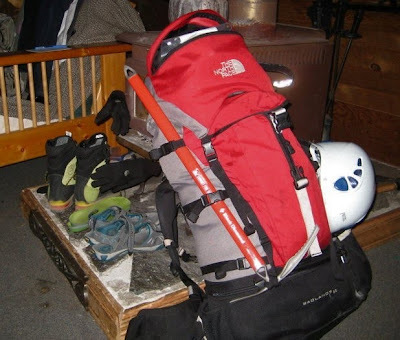 But all of the packing, unpacking and repacking served a much greater purpose - ensuring we had all of the proper gear to stay safe on Mount Rainier. All geared up on the descent from the summit of Rainier. Big City Mountaineers and RMI provided the Summit for Someone climbers with an extensive gear list prior to the start of our 4-day program in Ashford. The first day served as our gear check, the second day was climbing school, and the third and fourth days made up the summit attempt. We had to have the proper clothing and gear for each of those days. Given the varying weather and temperature changes, that meant a lot of testing different layering systems. 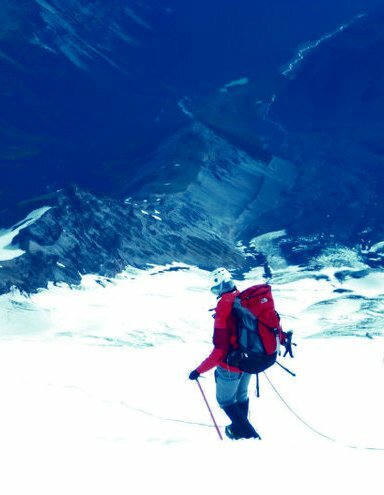 Below is a complete list of my clothing and gear for climbing school, our trek to Camp Muir, and summit day. My biggest issue was finding bottom layers that were long enough; I discovered some of my favorite gear companies produce pants with a 32" inseam and call them "long." Thanks to help from our wonderful guides, I managed to figure out exactly what to wear and was, for the most part, pretty comfortable with what I chose! All of these items were either purchased by me using my own hard-earned cash, or were purchased using a Mountain Gear gift credit I got from Big City Mountaineers when I signed up for the climb. If you've done a climb like this, did your gear list look similar? 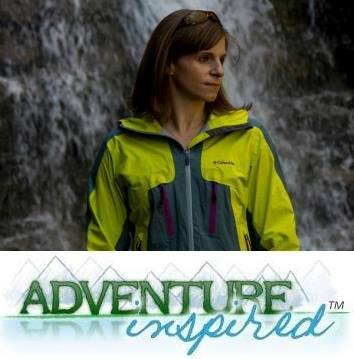 My name is Sarah Stewart and I'm a writer for Backpacker magazine. I'm working on a piece about Northeast hiking for the upcoming Readers' Choice issue, and I noticed your comment about Devil's Path on Backpacker's Facebook page, which lead me to your site. I'd love to talk with you to get your insight into that hike for this article. If you're interested, please send me an email so we can set up a time to chat. Thanks for your time, and I look forward to hearing from you.